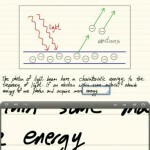 The popular note-taking app GoodNotes has just been updated to version 3.8, thereby gaining a number of significant enhancements. 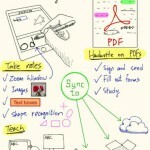 Released in 2011 as eNote Taker, GoodNotes is listed as a notable app in AppAdvice’s Handwriting Apps for iPad AppGuide. And with good reason. 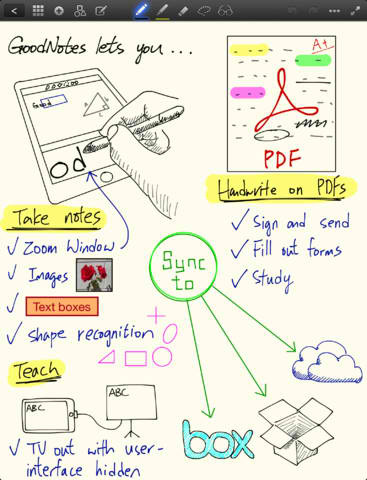 GoodNotes has a minimal interface that makes accessing its various features quite simple. 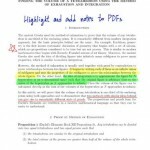 These features include, but are certainly not limited to, a close-up writing mode, palm rejection, PDF annotation, smart pen support, and syncing via Dropbox, Box, and SkyDrive. And now, the app has gained more features through its 3.8 update. 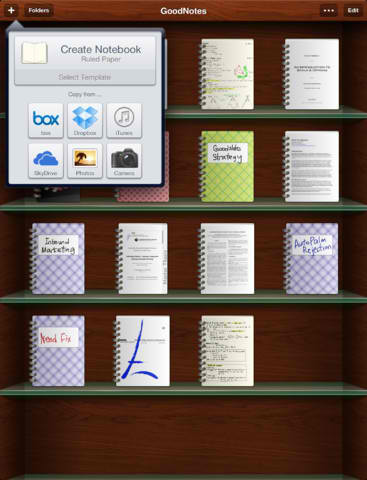 Compatible with iPad running iOS 5.0 or later, GoodNotes 3.8 is available now in the App Store as a free update or as a new $4.99 download. Android: The notifications pane at the top of your Android phone's screen is a great and fast way to get to your notifications, but if you'd also like to see pop-up alerts over your lock screen for specific emails, SMS messages, or from certain apps, Notify Me gives them to you, and lets you control which notifications you see. If the way Notify Me popup banners look is familiar, it should be: the developer behind the app took inspiration from the way Apple handles pop-up alerts on the homescreen. He wanted a similar effect, but he wanted to be able to control the apps that were allowed to notify him, and he wanted a way to quickly open or dismiss the alert from the lock screen. Notify Me does just that. After installing, you can tell Notify Me which applications can push alerts to the lock screen as well as the notifications pane. If it's an SMS or an email, you'll see a snippet of text so you can read what the message has to say without opening the app or unlocking your phone. With SMS messages, you even get shortcut buttons to unlock and reply, mark the item as read, or unlock and call the contact immediately, right from your lock screen. Best of all, Notify Me doesn't replace the standard way you access notifications in ICS or Jelly Bean (as in, you can just drag down the notifications pane, even when the phone is locked) but since the app works for older versions of Android too, it gives everyone the flexibility to see all or just the important notifications right there on your phone when you turn it on. Notify Me is free, ad-free, open source (code and downloads available at Google Code), and available to download from XDA Forums at the link below. Grab the latest version on Notify Me! Seeing Chinese Android-based knockoffs of Apple’s products isn’t anything new these days — it’s a big reason why Apple is looking to step its game up in China — but it’s not often you see someone beating Apple to the punch. Assuming Apple continues its tradition of releasing an “S” variant this year, Goophone has taken it upon itself to release the Goophone i5S. It’s visually similar to the current iPhone 5, and that’s fine: Apple’s iPhone 5S could look identical just as the 4S was to the 4, after all. It’ll cost $99 for the first 1,000 buyers starting tomorrow, and $149 thereafter. It runs Android 4.1 Jelly Bean with a heavily customized skin to make it look like iOS, though Goophone gives users an easy option to switch between stock Android and the ripoff skin. Under the hood is Mediatek’s 1GHz MT6577 processor with 512MB of RAM, and it has a 4-inch display with that same weird aspect ratio Apple uses for the iPhone 5. We obviously wouldn’t recommend this phone to those looking for a serious smartphone to walk around with, but if for some reason you’re in the market for a cheap iPhone 5 knockoff then I suppose this is one to keep an eye on. Retailer AndroidSale has posted a quick video recording of the abomination so be sure to check that out above if you’re curious.